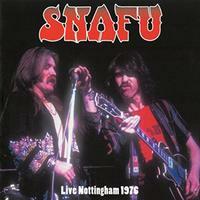 This live album captures SNAFU at their peak. The group played a form of soulful, funky blues rock with some jazz and more in the mix. This concert album really showcases that quite well. While the sound quality here isn't the best I've heard on a live album, it works well enough. You won't confuse this with a bootleg or anything like that. This vinyl version is cut on high quality, heavy duty vinyl and is well worth having. Honestly, this is the format you should have when you listen to this kind of music. It's just fitting of the sound. The rhythm section brings this into being with some serious funk in the mix. The tune is very much a blues rocker with some hints of jazz built into it. The vocal performance gets quite powerful, and there is some killer jamming here, as well. This seems to flow out of the previous number. It's another killer blues rocker with a lot of classic textures and sounds built into it. I love the guitar soloing later in the track in particular. The tune is one of the highlights and is on fire. While this is listed as "Big Legged Woman," it is introduced as "Long Legged Woman." That said, the lyrics fit the title on the cover. This is a full on blues jam. I dig the funky bass work on the tune, and the whole thing just rocks like crazy. Keyboards open this cut in a mellower motif. There is still a bluesy angle to it, though. As the guitar and other instruments join, this blues element becomes the real driving force here. This is a low and evocative blues tune. It really has a lot of power to it. Another blues-based number, this is more of a rocker. It has a soulful element within, too. There is some killer guitar soloing in the mix, as well. Coming in as a guitar rocking number, this still has plenty of that blues element at its core. The tune lands closer to the hard rocking 1970s style, than the more purely blues stuff heard on some of the other pieces. While the guitar arrangement really shines, the vocal performance is a powerhouse, too. 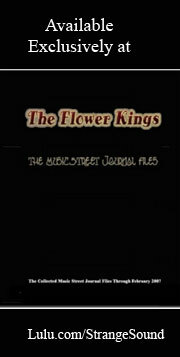 They shift it out further down the track to a killer soulful jam that's sped up and really rocks well.